With so many top things to do in Munich with kids, you’re going to want to allow at least a few days to explore Munich. We spent 5 days in Munich, which gave us enough time to see all the main Munich tourist attractions as well as some time for a few Munich day trips away from the city centre. If you’re going to visit Munich with children, then you’re going to find this Munich travel guide helpful. In this guide, I detail all the best things to do in Munich for families with children of varying ages, from tiny toddlers to teenagers. We look at some of the best Munich attractions, as well as where to stay in Munich with kids and the best ways to get around. Click here if you want to see our exact Munich itinerary. Throughout this section, I have provided a comprehensive guide of what to do in Munich with kids. I tried to provide as much information as possible to make your planning easier, including locations, opening hours and ticket prices. You will note that for many of the Munich top attractions I often recommend you purchase your tickets in advance from Klook or Get Your Guide. Yes, I will receive a small commission if you do purchase from these sites – but as you will see in most cases you will save yourself a bit of cash in doing so. Other times the price may be the same, but you will save time by not having to line up at the attraction for tickets. I personally use these sites myself to book tickets for our travels around the world. Sometimes it is cheaper to book tickets elsewhere and I will let you know under each attraction if that is the case. Please note that all prices mentioned were correct at the time of writing and may fluctuate depending upon changes to currency conversion and rate increases. To check the rate in your local currency, click here. Perhaps the first place to start your Munich sightseeing is in Marienplatz, which is in the city centre. There are many Munich landmarks in short walking vicinity of Marienplatz, as well right within the square. When it comes to things to do in Marienplatz, the most famous attraction would have to be the Glockenspiel. At 11 am, midday and the addition of 5 pm between March and October, a 15-minute show is played on the 43 different bells on the clock. It will recount various dances and history through figurines – a fun way kids will love and appreciate. Make sure you wait for the show to finish with the clock transforming to a cuckoo clock at the end. Right within Marienplatz in the Old Town Hall Tower is the Toy Museum. 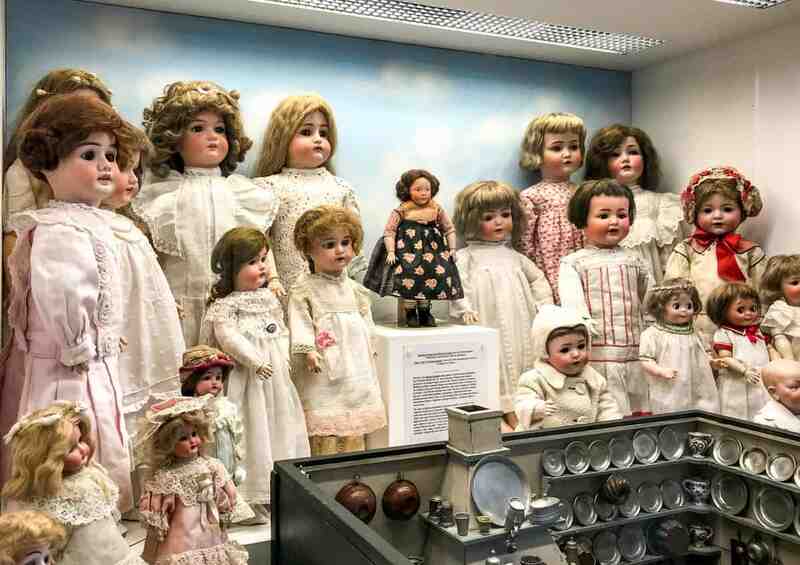 The museum spans across four floors and is full of displays of vintage toys including dolls, teddies, toy trains and barbies collected from all over the world. Is this a must do in Munich? Well, whilst I found some parts of the museums curious, others I thought were a bit boring. It’s also worth noting that everything is behind glass displays, so there is nothing for children to touch. However, parents might find it interesting to spot some toys they played with as kids, and showing their own kids. Price: Adults are €4, children are €1 and a family ticket is €8. Before Munich we spent a few days in Vienna – read our Vienna with Kids guide here. 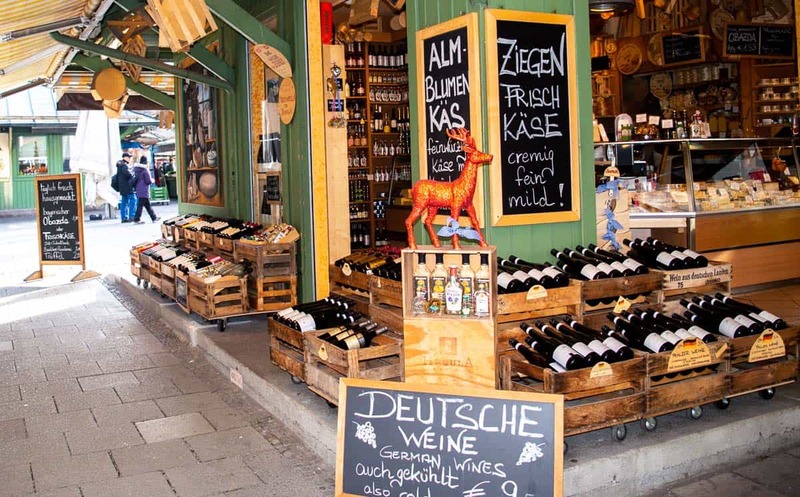 Just a short walk from Marienplatz is Viktualienmarkt, Munich’s oldest and said to be best open-air farmers markets. Supposedly the story goes that once upon the food market was held within Marienplatz but became so big that in 1807 the King moved it a few metres to the south-east where it still stands today. Today, this fantastic fresh food market has over 140 stalls and covers an area of 22,000 square metres. Here you will find all kinds of produce, including fruits and vegetables, cakes and pastries, cheeses, meats, wines and even beer gardens. There are also plenty of handicraft items that you may wish to buy as souvenirs. As you know Andy just loves his food, so he was in heaven looking at the various stores and buying bits and pieces to sample as we went. If you’re super keen you can even do a 2-hour gourmet food tour through the markets. During this tour, you get to sample lots of available produce while learning about the owners of the stalls and their individual stories. Tours are €30 for adults and €12 for children (6-10), under 6s are free. 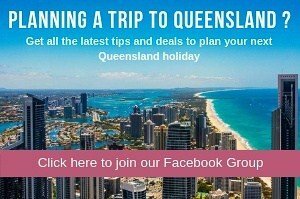 Click here for more information or to book a tour. If you’re a food lover, like my Andy is, Viktualienmarkt is definitely one of the things to see in Munich. 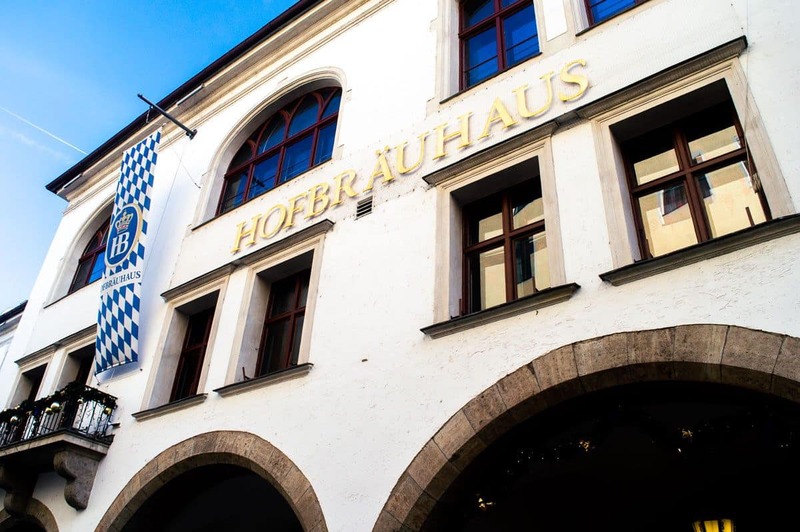 When it comes to Munich activities, many would say having a German beer at one of the famous beer halls is a must. 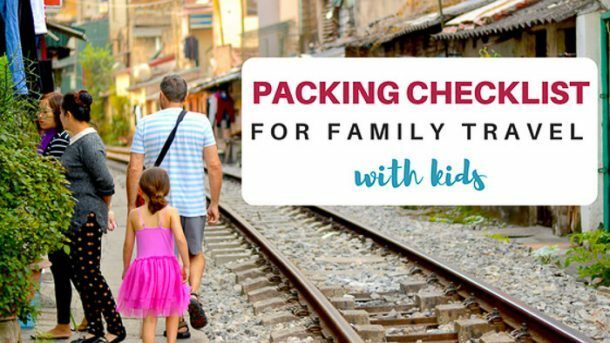 Parents, don’t worry about having children with you as there are plenty of family-friendly places to visit. Hofbräuhaus is perhaps one of the oldest and most infamous Munich beer gardens, founded in 1589 by the Duke of Bavaria, Wilhelm V. Today Hofbräuhaus is one of Munich’s most popular tourist attractions. Hofbräuhaus is only a 5-minute walk from Marienplatz. 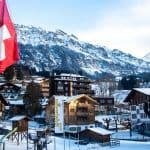 Some other family-friendly places that other family travel bloggers recommend (note I haven’t been to any of these) include Wirtshaus am Bavariapark and Hirschgarten. Opening Hours: Daily from 12 pm until late. One of the largest urban gardens in the world (even bigger than NYC’s Central Park)! The English Garden is a great way to take some time out and appreciate the beautiful city. With 78 kilometres of paths, a Japanese tea house, playground, paddle boats to rent and beer gardens there is something for everyone. 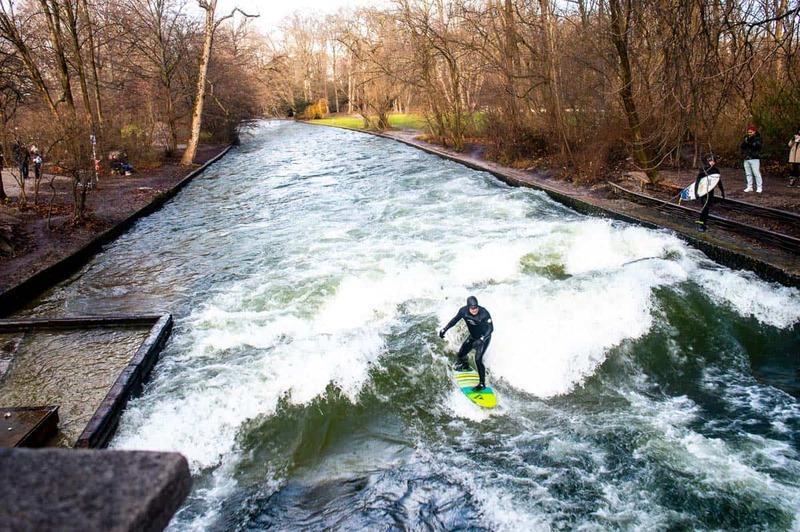 Do not miss watching the surfers in the Eisbach River – this is a Munich must see! The Eisbach River is a manmade river which flows through the gardens. In one section, a manmade wave has accidentally been created which now has surfers from all over the world coming to give it a go. I just loved watching the surfers jump into the river and surf the wave, mind you none of them lasted more than a minute or two! River surfing is definitely not something you see every day, and it’s one of the free things to do in Munich too. 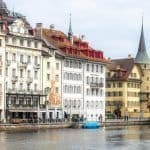 After Munich we spent a few days in Lucerne – read our Lucerne with Kids guide here. When you’re choosing what to do in Munich with kids, a visit to the German Museum is a must to consider! Established over 100 years ago, the Deutsches Museum is one of the world’s largest and oldest science and technology museums. There are over 30 exhibitions featuring information about space, aviation, computers, energy and electricity, our oceans and the history of medicine. The younger children (around 3 to 8) will love visiting the Kids Kingdom section, which is full of fun activities. Myla enjoyed playing in the giant guitar, building a ball rolling track, giant building blocks, the wonderful hall of mirrors and the arts & crafts. Another area of the museum that we really enjoyed was the underground mine, where a replica mine is set up so you can walk through. It’s really well done and it’s a great learning experience to see what life underground for the miners is like. Other exhibitions of the museum include a planetarium, an oceanography section where you learn about life below the water surface, the transport section where you can learn about the evolution of transportation, DNA section where you will learn about and walk through a giant model of a living cell and so much more. Honestly, the museum is huge, and I highly recommend going with a bit of a plan. We just turned up and looked at sections randomly and I felt we really missed out on seeing a few of the exhibits. Getting to the Deutsches Museum by public transport is easy, simply download the DB Navigator App to plan your trip. No matter whether you have little kids or teenagers, there is something for everyone at the German Museum making it one of the best Munich museums to visit with family. Price: Adults are €14, Children 6 to 17 are € 4.50, and under 6’s are free. A family ticket for 2 adults and their children is € 29. Entry is included with a Munich City Pass. For families who love the Olympics, one of the must-do places to see in Munich includes the Olympic Park. Visitors can come and walk through the Olympic Stadium, visit the Olympic flame, see the open-air exhibition on the Munich Olympics as well as watch a short film about the Munich Olympics. You can also go up to the observation deck of the Olympic Tower which rises 290 metres above the park. From the top, you can see a panoramic view of Bavaria all the way to the Alps. It’s easy to reach the park from Munich, as it’s just a 25/30-minute train ride from the city centre. Download the DB Navigator App to plan your trip. Opening Hours: Vary throughout the year but generally 9 am to 6 pm daily. Price: The Tower is €7 for adults, € 5 for children under 16, and under 6’s are free. A family pass is €18. Sightseeing in the stadium is €3.50 for adults, €2.50 for children under 16, and under 6’s are free. A family pass is €8.50. Add an audio tour for €7. Entry is included with a Munich City Pass. If anyone in your family is a car lover, then the BMW Museum is one of the Munich things to see. Located within the BMW factory and spanning across more than 500 sqm, this museum showcases the history of the BMW brand and products since 1916. Here you will see around 125 automobiles, motorbikes and engines as well as the newest BMW line up. It’s easy to reach the museum from Munich, as it’s just a 20/25-minute train ride from the city centre. Download the DB Navigator App to plan your trip. Opening Hours: Daily from 9 am to 6 pm. Price: Adults are €10, children are €7 or a family ticket for 2 adults and up to 3 children is €24. 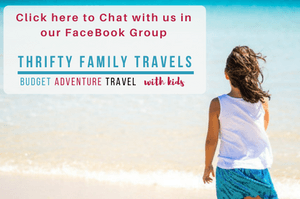 No doubt you have been to at least one Sea Life around the world, so you’ll know they are a fantastic place to take the little ones. Of course, the highlight at any Sea Life is the massive glass tunnel which goes through the 400,000-litre tank and at Sea Life Munich here you will see a range of ocean life including tropical fish, great big sharks, turtles and stingrays. Kids will love visiting the rockpool where they can touch some of the animals and can see some shows, including watching the ray feeding or seeing the divers who feed the sharks. It’s easy to reach Sea Life from Munich, as it’s just a 20-minute train ride from the city centre. Download the DB Navigator App to plan your trip. If you’re in Munich with toddlers or young children who love ocean life, then a few hours spent at Sea Life is well worth considering. Price: Adults are €18.50, children (3-14) are €14.50. However, save yourself a few dollars and book your tickets online. Click here to purchase your tickets online. Entry is included with a Munich City Pass. For animal lovers, one of the top places to visit in Munich is the Hellabrunn Zoo. Here there are more than 19,000 exotic and native animals from all over the world. The range of animals here is huge and includes exotic birds, elephants, reptiles, monkeys, bears, penguins, zebras, rhinoceros, lions, giraffes and loads more! As well as the large animal enclosures there is also a range of animal shows and feeding demonstrations throughout the day. There is also a petting zoo and two playgrounds. It’s easy to reach the Zoo from Munich, as it’s just a 15-minute train ride from the city centre. In fact, depending upon where you’re staying in the city you could even walk. Download the DB Navigator App to plan your trip. Opening Hours: Open all year round from 9am, closing times vary depending on the season. Price: Adults 15€, children aged 4-14 years 6€ with small and large family packages available. The live show Equila is a story which also includes impressive riding scenes and acrobatics all combined with music and dance. However, whether you see the show or not, you can go visit the stars of the show (the horses) at Equilaland. There are various themed pavilions at Equilaland, where you can get behind the scenes of the show and see how the horses are trained and prepared for the show. Attractions at Equilaland include the pony petting area, see horses enjoying spa treatments, watch the stars of the show Equila practice their routines and see blacksmiths go about their work. It’s easy to reach the palace from Munich, as it’s just a 25-minute train ride from the city centre. Download the DB Navigator App to plan your trip. Equilaland is definitely one of the Munich places to visit for lovers of horses or just animals in general. Opening Hours: Vary depending upon the season. Price: Adults 18,90 € • Teens (13 – 16 years) 16,90 € • Children (4 – 12 years) 14,90 € and children (0 – 3 years) Free admission • Half day ticket 9,90 € (on days with opening time from 13:00 – 17:00). You can save 10% on entry with a Munich City Pass. If you’re wondering where to go in Munich with young kids, go to Fairytale Fun Park. Here you will be transported back in time to a world of magic and fairy tales. With over 260 moving characters in more than 20 different fairy tale displays, this fun and interactive amusement park is a must do when travelling to Munich with young children. As you wander throughout the park you pass display windows where different fairy tale parks are presented, as well as listen to fairy tales in both German and English. There is also a range of rides perfect for little ones like train rides, slides and carousels. The Fairytale Fun Park is around an hour away from Munich by public transport Download the DB Navigator App to plan your trip. Opening Hours: Varies depending upon the season. Price: Adults 14€, children above 85cm tall 12.50€ any children below 85cm tall are free, Seniors over the age of 60 12.50€. Bavaria Film Studios is Munich’s answer to Hollywood and is where some of the most popular German films were made, making it one of the fun places in Munich for the whole family. a 4D motion ride which is a cinema that has 3D images, 3D sounds, moving seats and even wind and water effects. Just keep in mind that if you’re not familiar with many German movies, you might not find this attraction that appealing. Also, the guided tour is done in German as well. It’s easy to reach the Bavaria Film Studios from Munich, as it’s just a 25-minute train ride from the city centre. Download the DB Navigator App to plan your trip. Opening Hours: Open daily from 9am to 6pm during the months of March to November and 10am to 5 pm during the remainder of the year. Price: Adults 27.50€ • Children (6-17 years) 21€ and under 6s are free. Entry is included with a Munich City Pass. With its palm-fringed pool landscapes, you’d almost have no idea this water park was indoors! However, being indoors is what makes this place so unique and able to be enjoyed all year round, so it’s definitely ideal if you’re looking for things to do in Munich in winter. Given Therme Erding is the largest spa complex in the world, there’s no surprise of the crazy number of things there are to do here. No matter the age of your children, there is bound to be several things that will keep them entertained for hours. Attractions include numerous indoor and outdoor swimming pools, a wave pool, 27 slides, 30 different thermal pools, 27 saunas, kids pool and more! Myla went to Therme Erding with a friend of ours whilst we visited Dachau, so I can only speak from what she told me. But Myla absolutely loved this place and from what I can understand, didn’t want to leave! 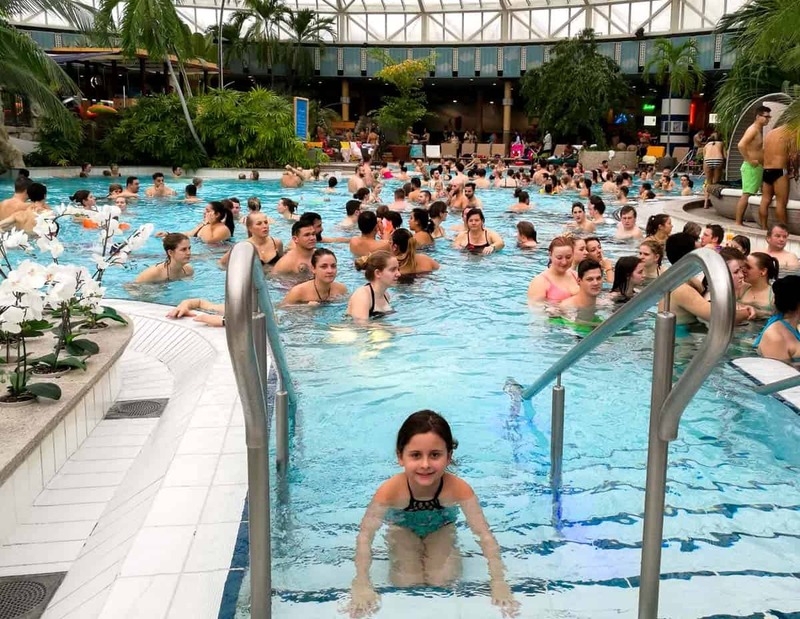 Therme Erding is a 1 hour by train from Munich. Download the DB Navigator App to plan your trip. Opening Hours: Hours vary depending on day and season. Price: 18€ for 2 hours, 24€ for 4 hours and 34€ for the day. Add 4€ for weekends and public holidays. Prices are per person and children up to 3 are free. You can save on entry with a Munich City Pass. The Nymphenburg Palace is a 17th-century palace which served as the summer residence of the Bavarian rulers and is one of the castles near Munich that tourists love visiting. Over time, the palace has expanded into a magnificent structure surrounded by beautifully landscaped baroque gardens. The tour of the palace walks through the Grand Hall, the royal apartments, and rooms which are decorated with frescoes and numerous artworks. There are 2 museums included in the palace tour, housed in the pavilions outside the main palace building – MarstallMuseum (Chariot Museum) and Nymphenburg Porcelain Museum. MarstallMuseum displays ornate carriages used by the royal family, like King Ludwig II. The Porcelain Museum displays a wonderful collection mainly comprising of tea sets, table centrepieces and dinner sets from the 18th to the 20th centuries. Do not miss the palace gardens which has numerous small baroque palaces, pavilions, fountains and sculptures. It’s easy to reach the palace from Munich, as it’s just a 30-minute train ride from the city centre. Download the DB Navigator App to plan your trip. Price: 6€ for Nymphenburg Palace, 4.50€ for Marstall-museum with Museum of Nymphenburg Porcelain and 4.50€ for the Park Palaces. Alternatively, purchase a combined ticket for 11.50 € from 1/4 to 15/10 and 8.50 € for the remainder of the year. Entry is included with a Munich City Pass. Established in 1933, Dachau was the very first concentration camp used by Hitler and used as a prototype for all other subsequent camps. In the 12 years, it operated over 200,000 people were imprisoned here and over 40,000 of them died here. 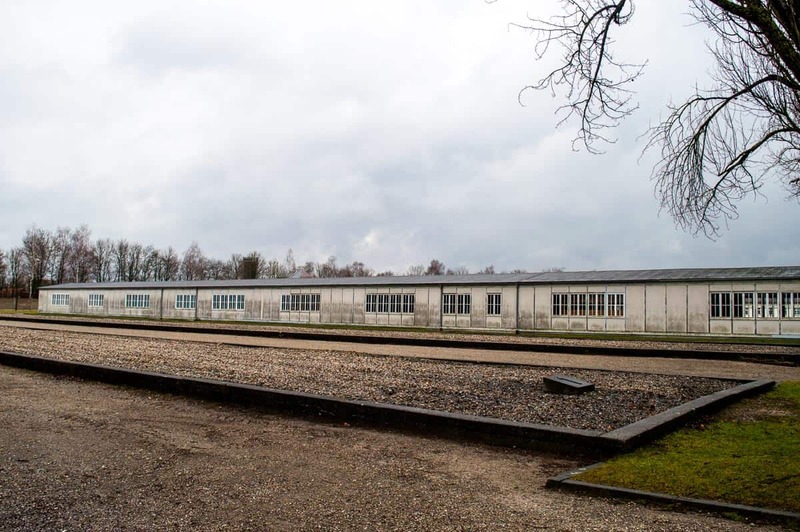 The Dachau Concentration Camp Memorial Site is one of the places to visit near Munich where one can remember the atrocities that occurred during the Nazi period and ensure that we don’t let hatred, bigotry and racism to overcome humans again. Nothing can prepare you as you step inside the concentration camp, including barracks, crematorium and gas chambers. However, it is an experience anyone travelling to Germany should go through. We found it extremely sobering experience, but nevertheless were pleased we visited and paid our respects. We didn’t bring Myla here and nor would I recommend you bring your young children here. In fact, the memorial site doesn’t recommend children under the age of 14 to visit. However, I do recommend that once you believe your children are old enough to appropriately deal with the information, that you do bring them along. They are our future leaders and it is important for them to learn about these atrocities and ensure they never happen again. It’s easy to get to Dachau from Munich, simply take a train from the main station to Dachau Station. From here there are buses right outside the station that will take you directly to the memorial site. Download the DB Navigator App to play your trip. Entry is free into the memorial site, but I do recommend that you either join one of the 2.5 hour guided tours on site which are 3.50€ per person and depart at 11am and 1pm daily or use one of the DIY audio guides which are 4€ each and available in a range of different languages. We did the guided tour which I found was good, although a little rushed and Andy and I ended up going back through the site to look at things we missed during the tour. Plus, at times it was hard to hear the tour guide given there were just so many people there. Overall, I think for next time I would do the DIY audio guide. If you prefer there are a range of guided tours that you can join starting from Munich will accompany you to the site and take you on a guided tour. These tours are around 25€ per person. Click here if you’re interested in doing a guided tour from Munich. Perhaps one of the most photographed Munich sites is the Neuschwanstein Castle. This is said to be the castle that inspired the infamous Disney castle that you can find at Disneyland’s across the world. Neuschwanstein Castle is a 19th-century palace which was created by Ludwig II. Located high up on the cliffs in the countryside of Bavaria it has to be seen to be believed! It’s no wonder this is one of the most visited castles in all of Europe. We visited during the winter and it was just magical with a sprinkling of snow all over the place. 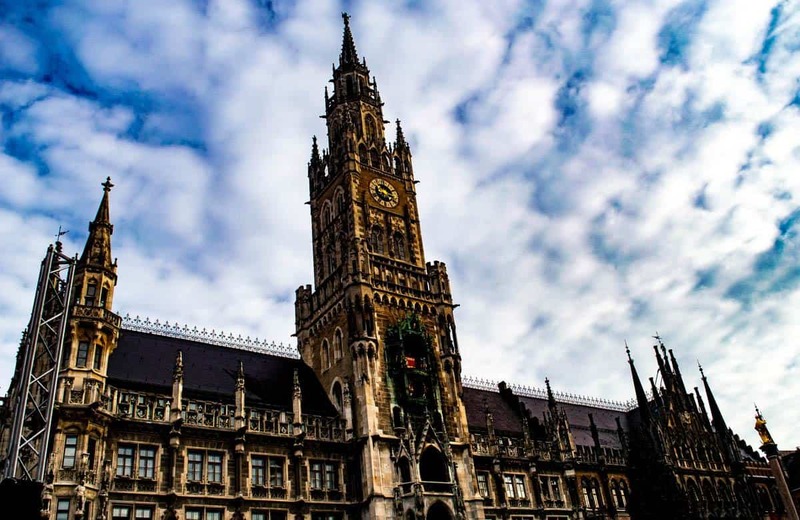 Given this is one of the most popular Munich tourist places, it is recommended that you book your tickets well in advance to avoid disappointment. Although, if you do miss out on tickets (like us oops), then it is still worth going there just to admire its beauty and take a walk around the outside. 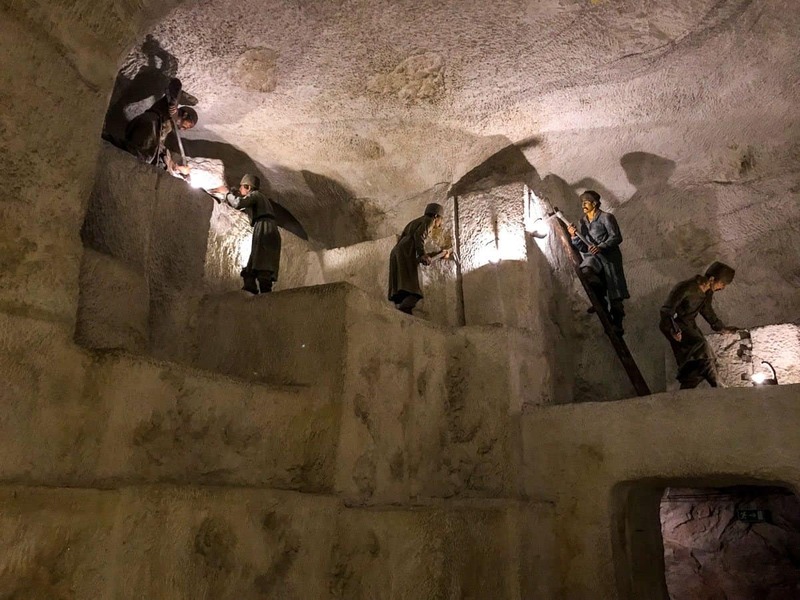 You will quickly see why this is one of the popular attractions near Munich. Just note that you do need to walk up the 1.5 km steep driveway to the castle or alternatively you can pay to take the horse carriage up. But even then, you will need to walk the last part to the castle. If you decide to take the carriage up you could be waiting for well over 1 hour, so I recommend you arrive at the castle as early as possible. Neuschwanstein Castle: This tour basically provides transportation there (so the entry fee of 13€ to the castle is not included) and costs 45.80€ per adult, 29.10€ per child (6-13) and under 6s are free. Click here to book this tour. 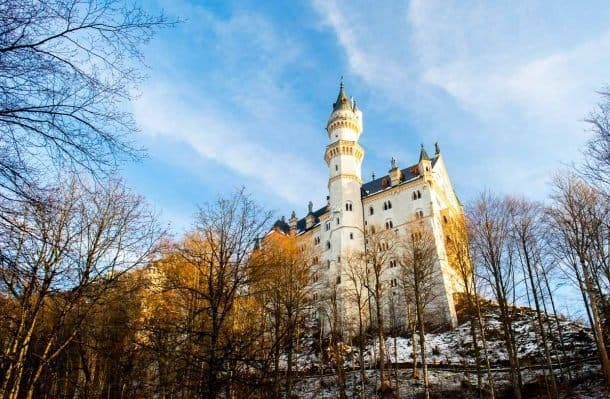 Neuschwanstein Castle and Linderhof Castle: This tour is similar to the above tour (so the combined entry fee of 27€ is not included) but also includes Linderhof Castle which is where Ludwig II lived. This tour costs 54€ per adult, 28.50€ per child (4-14) and under 4s are free. Click here to book this tour. Opening Hours: 10 am to 4 pm in wintertime, 9 am to 6 pm in the summertime. Price: Tickets are €13 per adult and children under 18 are free. Purchasing a city pass is often a great way to save money if you intend on visiting a few of the Munich places of interest. Some passes even include transportation. As to which pass is the right choice for you, really depends on which of the Munich tourist spots you intend to visit. I recommend you compare the pass price to the individual Munich tourist sites prices and make the decision from there. With this pass, you have unlimited access to public transport within Munich as well as entry into the 45 of the best attractions in Munich. You also get the hop on hop off bus tour included. Passes can be purchased as 1, 2, 3, 4, or 5 day passes as well as transport for the inner-city area or entire Munich area. A day 3-day pass costs 79.90€ per adult, so if you were to see all the above Munich family attractions over 3 days you would have spent 74€ plus your transportation costs. So, there are savings to be had, not to mention the convenience of having everything prepaid with one card. However, for an even bigger discount, purchase your pass from Klook where a 3-day pass is just 77.60€ per adult. Click here for all the details and to book your discounted passes. 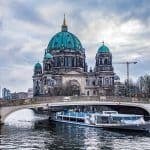 If you’re the sort of person that prefers someone to take care of everything for you, and not have to worry about navigating your way around, you may prefer one of these Munich sightseeing tours. 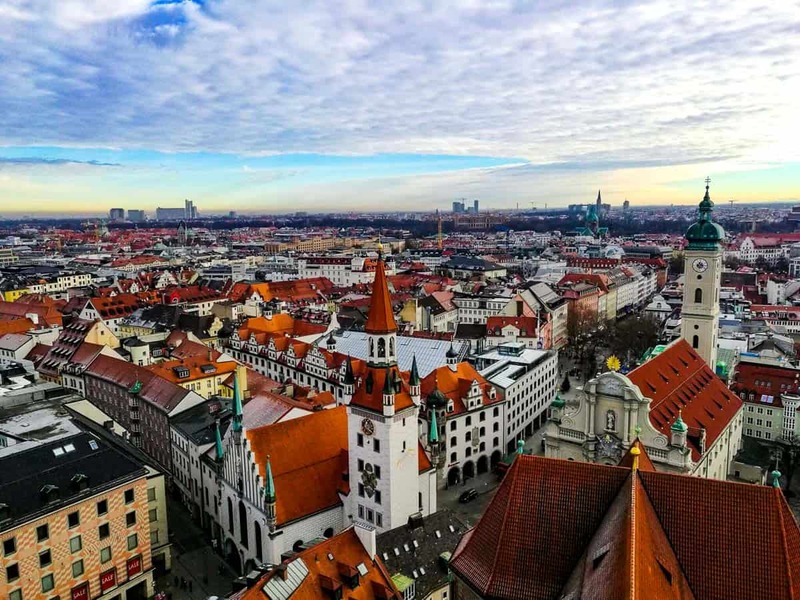 City Tour: Over 2 hours your guide will take you to see Munich’s famous landmarks such as Marienplatz, the famous Hofbräuhaus beer hall, Viktualienmarkt, the royal residences and teach you about Third Reich history and the history of numerous monuments. Tours depart daily at 10.15am and 2.30pm and cost 13.20€ per adult, 7.49€ per child with children 5 and under free. Click here to purchase tickets. Third Reich Walking Tour: This tour is for those interested in learning more about the Third Reich history. Munich was once the capital of the Nazi movement, so on this tour, you will get to visit many places that played a part in Nazi history. Visit the beer hall where Hitler attended his first party meeting and made his first major speeches, see the headquarters where the most heinous crimes in the world were committed, see the meeting halls and headquarters where the Nazis converged and much more. Tours depart daily at 3 pm and cost 15.90€ per adult, 10.60€ per child with children 5 and under being free. Click here to purchase tickets. For ‘The Sound of Music’ fans, take a day trip to Salzburg in the neighbouring country of Austria and visit the countryside which was featured in the film as well as the home of Mozart. The tour starts with a drive through the beautiful Bavarian Alps before arriving in the UNSECO World Heritage Site of Salzburg. Explore the city and during the months of April to October you can also take an optional cruise on Lake Wolfgangsee and go to see the White Horse Inn and the pilgrim church. Tours depart Tuesdays, Thursday and Saturdays at 8.30 am and return back to Munich at 7 pm. The cost is cost 47.60€ per adult, 37.90€ per person aged 15-26, 23.80€ per child aged 4-14 and with children under 3 being free. Click here for more information and to purchase tickets. 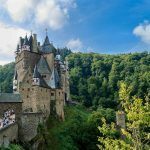 Take a drive along Germany’s Romantic Road, one of the country’s most popular tourist attraction due to its stunning surrounds. The first stop of the day is a guided tour of Harburg Castle. Completed in the 11th century, this is one of the oldest and best kept castles in Southern Germany. Then go on to explore the medieval town of Rothenburg ob der Tauber, where you have free time for shopping and lunch. Depending upon the time of the year, tours depart either Wednesdays, Saturdays or Sundays at 8.30 am and return to Munich at 7pm. The cost is cost 75.80€ per adult, 60.35€ per person aged 15-26, 37.90€ per child aged 4-14 and with children under 3 being free. Click here for more information and to purchase tickets. 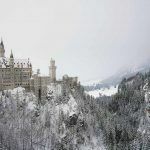 This tour is a great way to combine the stunning scenery of the Bavarian Alps with whilst visiting some recognized places from the Nazi Regime. On this tour you will visit the lovely market town of Berchtesgaden and visit Hitler’s infamous Eagle’s Nest. At Eagle’s Nest you will have panoramic view of the Bavarian Alps. After lunch you have the option of visiting the NS-Documentation Centre where you can learn about the history of Munich and its involvement in the Nazi regime. Tours depart Mondays and Fridays at 8.30 am and return to Munich at 6 pm. The cost is cost 75.80€ per adult, 60.35€ per person aged 15-26, 37.90€ per child aged 4-14 and with children under 3 being free. Click here for more information and to purchase tickets. Whilst Nuremberg is a beautiful city with stunning buildings, it is also where a number of events took place relating to the second world war and where an international war crimes tribunal later held the Nazi leadership accountable. During this day trip, you will take the train from Munich to visit places such as Historic Old Town (including its quaint alleyways, buildings and shops), St. Sebald Church, Marketplace, Congress Hall of the Nazi Party, Party Rally Grounds, and many more. Depending upon the time of year, tours depart Mondays, Wednesdays, Fridays and Saturdays at 8.40 am and return to Munich at 6.40 pm. The cost is cost 52€ per adult, 33€ per child aged 6-13 and with children under 6 being free. Click here for more information and to purchase tickets. I highly recommend a visit to Zugspitze during your stay in Munich. 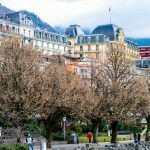 We went and stayed the night in Garmisch-Partenkirchen, however if you don’t have that much time this day tour is a good alternative. From Munich, take a bus to Garmisch-Partenkirchen where you will take the cable car to reach the top of Zugspitze, Germany’s highest peak at 2963 meters. From the top you can see over 400 peaks of the Bavarian, Austrian, Swiss and Italian Alps. 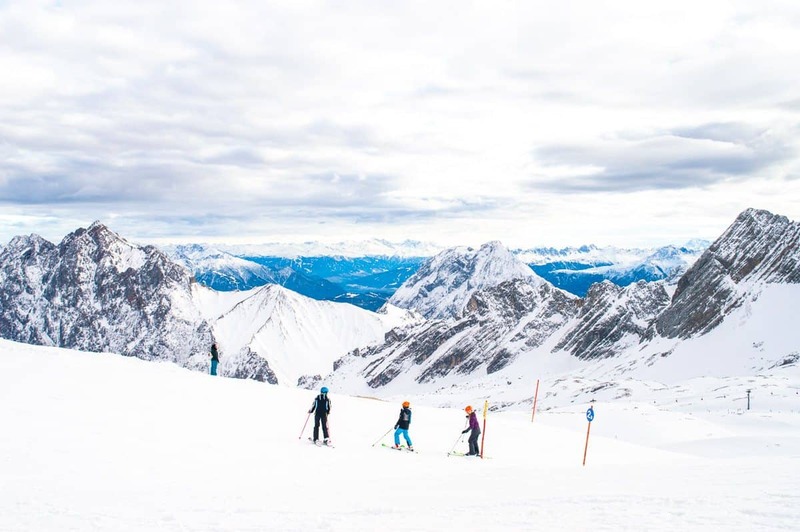 At the top of Zugspitze, you can go sledding, take a walk, visit the church, have a drink at the ice bar or have something to eat. On the way down you will take the historic cogwheel train which offers some fantastic views. You will then meet the bus, which will take you back to Munich. Tours depart Sundays at 10 am and return to Munich at 6 pm. The cost is cost 101€ per adult, 90€ per person aged 15-26, 69€ per child aged 4-14 and with children under 4 being free Click here for more information and to purchase tickets. In terms of the best area to stay in Munich, if you can afford it, I would recommend staying either in or as close to as possible to Alstadt-Lehel, which is the heart of the city. Most of the main tourist sites can be found in this area and it’s a gorgeous area to stroll around with its charming streets and historical buildings. However, hotels in central Munich are expensive, so another alternative is to stay close by the main train. This means you can still easily get to all the various attractions and benefit from cheaper accommodation. Even away from the Alstadt-Lehel, accommodation does tend to run on the pricier side. However below I have listed 3 different Munich hotels that I recommend based on their ability to adequately accommodate a family of 2 adults and 2 children, having private bathroom facilities as well as being in a central location. For even cheaper Munich family hotels you will need to move further out from the city and / or consider getting a room with shared bathroom facilities. Hotel Amba is just a 10-minute walk to Marienplatz and 400 m from the main Munich train station so you can easily get around to all the main sites in Munich. Families are best accommodated in the family room which have a double bed and two single beds. The family room includes a TV, tea and coffee making facilities and Wi-Fi. 45% of people on TripAdvisor rate this hotel as above average and it’s rated 7.3/10 on Booking.com. At the time of publishing the best rate was $195 AUD per night for 2 adults and 2 children on Agoda or $215 including breakfast. Click here to check the prices and / or to make a booking at Hotel Amba. 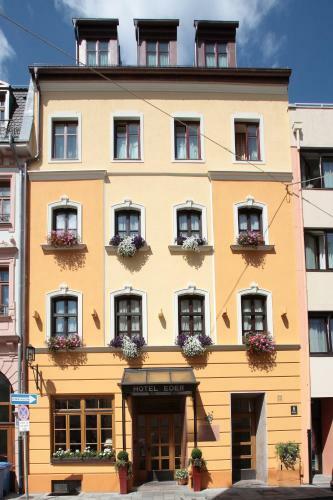 Pension Margit is 25 minutes to Marienplatz and 800 m from the main Munich train station. The closest underground station is Theresienwiese, only 350 m away so you can easily get around to all the main sites in Munich. Families are best accommodated in the quadruple room which has 4 single beds and includes a TV, desk, balcony, kitchenette and Wi-Fi. 45% of people on TripAdvisor rate this hotel as above average and it’s rated 8/10 on Booking.com. At the time of publishing the best rate was $181 AUD per night for 2 adults and 2 children (including breakfast) on Booking.com. Click here to check the prices and / or to make a booking at Pension Margit. Hotel Eder is just a 10-minute walk to Marienplatz and 400 m from the main Munich train station so you can easily get around to all the main sites in Munich. Families are best accommodated in the quadruple room which has a double bed and sofa bed. The room also includes a TV, desk and Wi-Fi. 84% of people on TripAdvisor rate this hotel as above average and it’s rated 8.6/10 on Booking.com. At the time of publishing, the best rate was $232 AUD per night for 2 adults and 2 children (including breakfast) on Booking.com. Click here to check the prices and / or to make a booking at Hotel Eder. You will most likely arrive in Vienna via train or plane, so below I have included information on how to get to the city centre from both the airport and main train station. The best way to get from the Munich airport to the city centre is via train. Both the S1 and S8 S-Bahn lines connect the airport and Munich central station with trains leaving every 10 minutes. The train ride takes around 45 minutes. Tickets cost 13,00 € per person or for a family you can purchase a group of tickets which covers up to 5 people (two children between the ages 6-14 count as one person) for 24.30 €. These tickets are all day tickets so you can use these tickets to travel for the entire day on the network. You can also catch a bus from the Munich airport to the city centre is via train. Buses leave terminals 1 and 2 every 15 minutes and arrive at the Munich Central Station 45 minutes later. Tickets are 10.50 € per adult or 5.50 € per child, children under 6 are free. Or save money and buy online from Klook – click here to purchase your discount tickets. The main station in Munich is Munich Hauptbahnhof, where most trains will stop. This station is in the heart of the city centre, so you may be able to walk to your accommodation from here or take another train to your nearest underground station. We arrived in Munich via train, as we had Eurail Global Passes. Learn more about the different Eurail options here. However if you are just travelling within Germany, a German Rail pass may be the best option. Many of the tourist attractions in Munich are clustered together in the city centre so you can easily walk between a few at a time. Although, if you do want to visit any of the attractions out of town or need to get from one side of the city to the other, the public transport is really easy to use. Simply download the DB Navigator App and you can use this to plan any of your journeys. There are a range of different ticket options which are all explained here. Basically single tickets start at 2.90 € per adult for travel within zone 1. You can also buy multiple single tickets at once which are called striped tickets (which are better value than single tickets) as well as single day tickets and group day tickets. For a family a group day ticket at 12.80 € per group almost always works out to be the best value. A group ticket for 3 days is 29.60 €. As mentioned above (under passes section), having the Munich CityTour Cardis an ideal way of getting around the city, as not only do you get unlimited use of public transport and free transportation for kids, but you also get great discounts into some of the best attractions in Vienna too! Like any of these cards, you are best to work out in advance the costs of individual journeys and work out which is best value for you. Gray Line: This hop on hop off loop takes 2.5 hours and there is commentary in a range of different languages. Buses run every 60 minutes and operate between 9.40 am to 4 pm in Summer and 10 am to 3 pm during the winter months. A two-day pass is 27 € per adult and 14€ per child (children under 4 are free) or save and book via Klook where tickets are 24.70€ per adult and 13.20€ per child. One day passes are also available. Click here to purchase your discounted tickets. City Sightseeing Munich: This hop on hop off loop has three different routes each taking an hour in tour and there is commentary in a range of different languages. Depending upon the route, buses run every 10 minutes to a few hours and operate between 10 am to 4.30 pm. A two-day pass is 28€ per adult and 11€ per child (children under 5 are free) or save and book via Get Your Guide where tickets are 24.90€ per adult and 8.90€ per child. One day passes are also available. Click here to purchase your discounted tickets. There is no doubt about it, Munich is a gorgeous city and is super easy to get around. However, I didn’t find it offered as much for families as some of the other European cities did. Additionally, it is fairly expensive. Having said that, it is a fantastic base for some awesome day trips. I think the trips we did out of Munich were my favourite things, and Zugspite – just wow absolutely brilliant! Thanks to Simply Munich for providing us with transport tickets during our stay in Munich. All opinions expressed in this post remain my own. 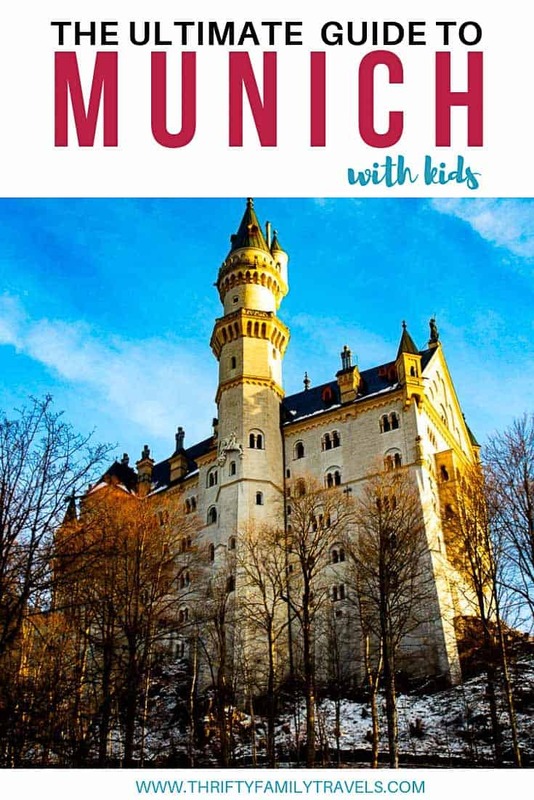 Get our Munich with Kids Guide FREE! Get our free guide which includes everything you need to know for a stress free trip to Munich with the kids. It includes the best attractions, best budget family hotels & how best to get around. Start planning that Munich trip now!